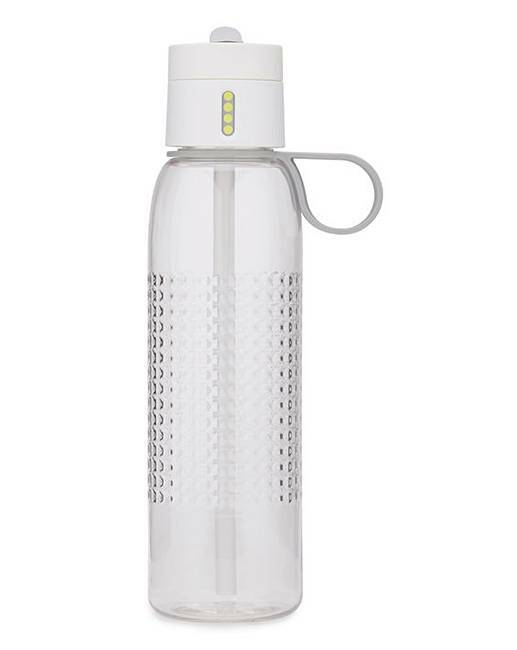 This 750ml white water bottle from Joseph Joseph features clever lid technology. 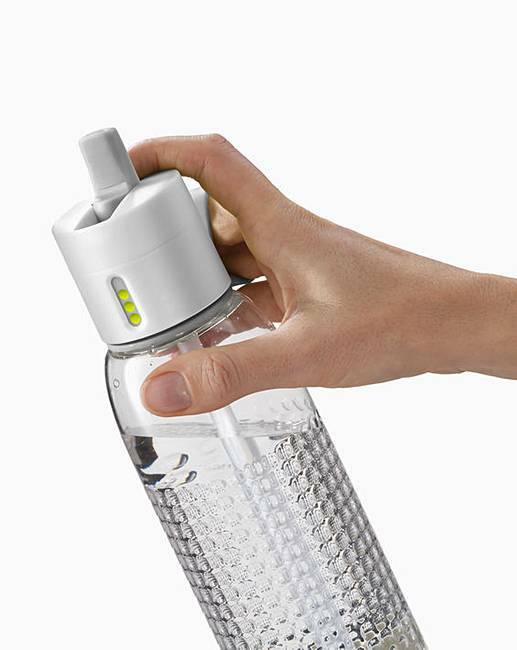 The Dot active allows you to track up to 4 bottles per day. 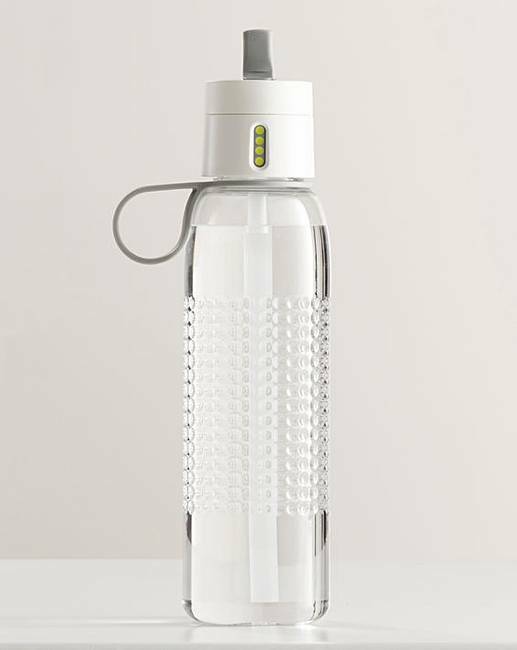 Each time you refill your bottle and screw the lid back on, a new dot appears to represent each bottle drunk. 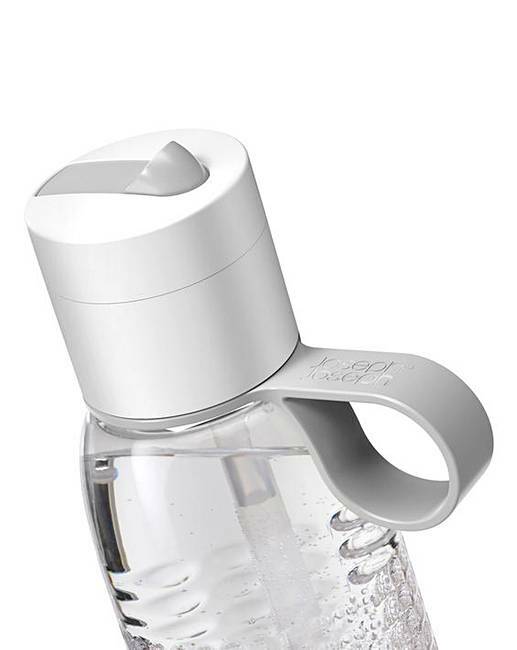 Bottle and straw - dishwasher safe; Lid – hand wash only. Not for use with hot or carbonated drinks. Not microwave or freezer safe. Made from durable Tritan plastic. BPA Free.